A garage door opener with a remote should make your life simpler and more efficient. It can allow you to get in and out of your garage with nothing more than the push of a button. Unfortunately, when these units stop working properly, they can complicate your daily routine and waste precious time. Don't ignore the issue. Get professional assistance from our expert technicians today. There are plenty of minor repairs you can make on your own around the house. 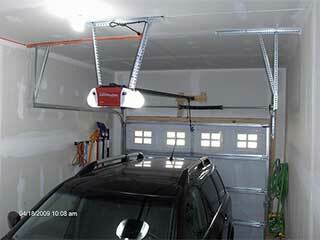 However, a malfunctioning garage door opener isn't something you should try to handle by yourself. Garage doors, and all of their various components, can be extremely dangerous to handle without the proper training. Regardless of whether you have a belt, screw or chain drive opener, your best option it to call for professional assistance. Attempting to handle things on your own could result in worse issues or even personal injury. Upgrading your garage door opener is always a wise decision, especially if your system is old or not functioning properly. The new features modern models have to offer – whether it's improved security or smartphone compatibility – can alone be more than reasons enough to merit getting such an upgrade, not to mention the enhanced safety standards that new openers adhere to will make them last longer than their old counterparts. Our team at Garage Door Repair Orlando can help you install a new system when it comes time to upgrade your old one. We can also handle the process of properly syncing remote opening devices, as well as handle every possible problem you may be experiencing. You can depend on us to ensure the convenience of your daily routine doesn't take a hit.